Boyfriend gift ideas. If you've got a boyfriend, and you have had to say goodbye to each other as each of you goes off to college, it can get lonely. 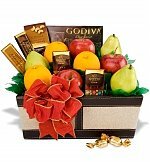 One of the great ways to stay in his thoughts is to send your boyfriend a gift basket for him to remember you by. Include gifts that he'll find useful, and why not include both homemade gifts -- those you've made yourself -- and those you buy. This is a great boyfriend gift idea for many situations. You both have to be of legal drinking age to have this be included in the basket, but if you are, great; if your guy likes beer, encourage him to go beyond the "Miller high life." Taste and experiment with different beers by including several different types of good ales, dark beers, and so on. 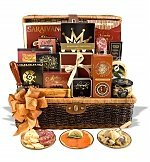 College gift baskets - gift ideas for your boyfriend or girlfriend. We're not talking about store coupons, here. 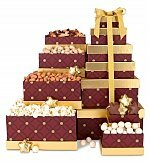 Instead, among the easy gift ideas you can include in your "homemade boyfriend gift ideas" gift basket are special coupons you make yourself; these are homemade boyfriend gift ideas that keep on giving. For example, you can include coupons for a special massage at the recipient's request, or a coupon for "a boys night out" with no complaints from you -- and no tagging along, so he can simply be with his buddies for the night. Or, an easy gift idea would be to give him a coupon good for an uninterrupted Super Bowl Sunday. Experiment, and be creative! You know what he likes, and remember, easy gift ideas don't always need to be purchased. He can "redeem" his coupons for just about anything you know he'd like to do or have. 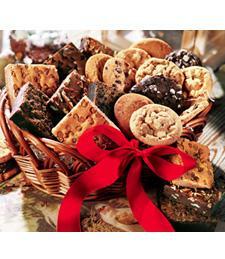 This is a must-have among the homemade boyfriend gift ideas -- and one of the most easy gift ideas as well. Of course, you'll want to have him thinking of you, and what better way to do it than to include a picture of the two of you, together, in good times? That way, he'll always have something to fondly remember you by and look at on a daily basis, even if you have to be apart. When your boyfriend goes off to college, it’s important to stay in his thoughts. 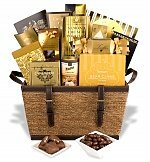 A great way to let him know that you are thinking about him and that you really care is by sending him a gift basket filled with great memories and future possibilities.